Patience is not my name! Hi! I retired the end of April 2014 after working 37 years as office support staff. Plan was to retire with my husband in 2 years, but I felt devalued by superiors so opted out. I had planned to relax and enjoy the summer and then maybe find a PT job in fall/winter. It's been 5 months and I'm still sooo lost. I've been on anti-depressants for 20+ years and was surprised when anxiety and depression hit me hard when I retired. Even after medication increase, I am still not doing so well. I have volunteered at a nursing home and at a daycare. I am such a morning person and feel a morning job where I have to get up, shower, hair, makeup to BE somebody would help me for next 2 years, but is hard to find such in my small rural town. My husband keeps saying: "We will get through this together." My therapist says I need to be patient as it could take a year before I adjust. Why is this so much harder than I thought it would be?? I would so appreciate emailing with someone who can feel my pain, share prayers, and provide support. Thank you for listening. Comments for Patience is not my name! 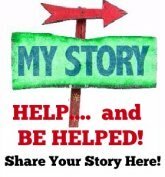 Your comments sound identical to mine - I retired after 33 years, had been on anti-depressants for 20 years and found they weren't working and I fell into a deep depression (a few other nasty things were happening too). My doctor changed my medication and within just over a week I felt much better. I try to keep busy volunteering at the humane society, meeting friends for lunch, attending lectures and yoga but its still hard to fill so much time - its a job in itself trying to arrange stuff to do with friends - and unlike you I live on my own with a cat so its more lonely despite my having many friends. Anyhow, perhaps if its really quite bad, you might consider changing medications as some can poop out after a certain amount of time. Many of us totally get your pain. We've lived through the retirement transition and found our new lifestyle. Yes, it takes time. Sending prayers that you FIND YOURSELF soon. It sounds like you have a good husband by your side... use his help -- take walks, go out to lunch, enjoy his company out of the home so you both can experience life again!